Updates to Shawni's profile since your last visit are highlighted in yellow. Shawni Hamilton Lauenroth has a birthday today. Shawni Hamilton Lauenroth updated profile. View. 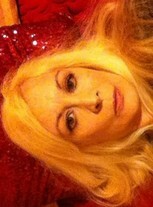 Shawni Hamilton Lauenroth changed profile picture. Shawni Hamilton Lauenroth added a photo to profile gallery. Shawni Hamilton Lauenroth posted a message. I just moved back to spokane after thirty years in Northern California and would love to have coffee with former classmates and catch up.